Progress, stats, and controls are saved automatically by Battle.net servers. FXAA or SMAA. SSAA/Downscaling is available through the "Render Scale" option. Triple buffering is also available. 30 FPS, Display based (value of refresh rate + 10), or custom (30-300 FPS). Menus are locked to 60 FPS. 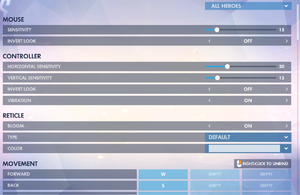 Individual control profiles for each hero are available, making it possible to have custom control settings and bindings for each one. 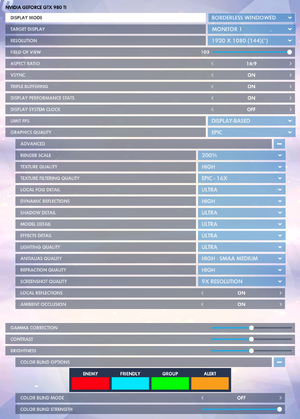 Due to the nature of Overwatch's game engine, you can experience mouse lag despite having a framerate above 60fps. The only known fix is to use lower settings or more powerful hardware. XInput only. For Steam controller/link, see below. Sound Effects, Music, In-Game Voice, Voice Chat. No option for it, but it is enabled by default for instances where subtitles are used. Toggle with sound in background option. Up to 6 spectators can be added to a game on top of the max player limit. Works using Compatibility Mode (enabled by default). Depth-sensitive halo around weapons. With this method, you don't have to log in manually on every startup. Extract bnetlauncher.exe to wherever you find most convenient. In Steam, add bnetlauncher.exe as a Non-Steam shortcut. Right-click the shortcut and go to Properties. In the Target box, add a space and add ow. For example, it would look like "C:\Overwatch\bnetlauncher.exe" ow. This will depend on where you extracted the executable. With this method, you have to log in manually on every startup, even if Battle.net is running in the background. 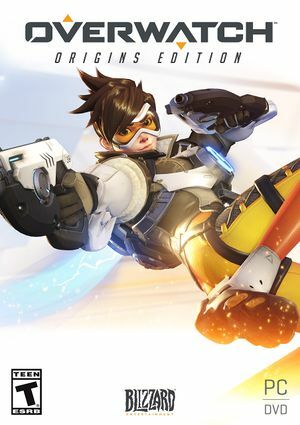 In Steam, add <path-to-game>\Overwatch.exe as a Non-Steam shortcut. In Steam, add the Battle.net Launcher.exe executable from Blizzard App path as a Non-Steam shortcut. This page was last edited on 30 March 2019, at 01:56.